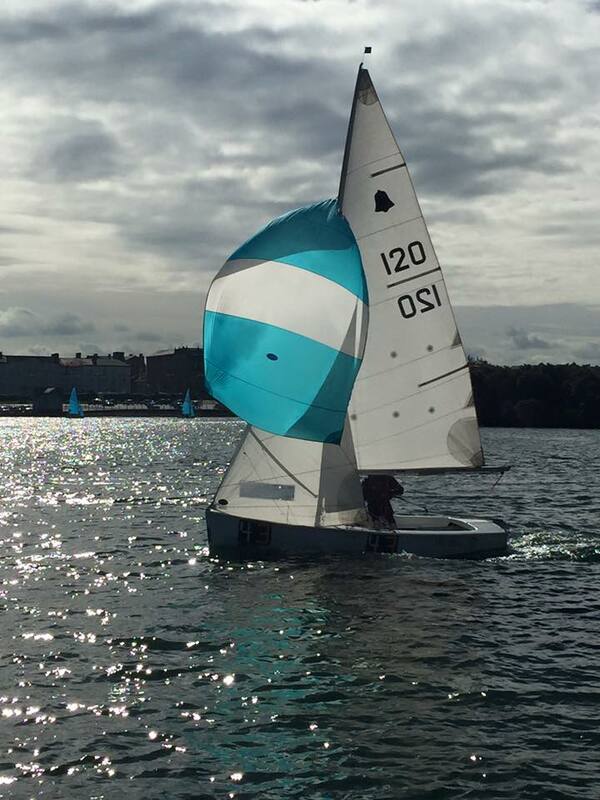 The GP14 is a popular sailing dinghy, with over 14,000 built. The class is active in the UK, Ireland, Australia, South Africa, Sri Lanka and parts of north-eastern USA, and the GP 14 can be used for both racing and cruising. The boat is relatively heavy, but stable, and the weight and the freeboard together with her lines combine to make her an excellent sea boat. She is also an ideal boat to learn to sail in. The class is raced competitively, and offers excellent close racing; she is a very forgiving and easy boat to sail, but a very challenging and demanding and immensely rewarding boat to sail really well. At the highest level of competition the standard is world class, and it is not unusual to find reigning or past Olympic Champions entering the major GP14 Championships, and being defeated.